Veronika Lusovska, a study abroad student from the Czech Republic, is studying in the UK at the University of Glasgow, but way before leaving her home country, she fell in love, like we all did, with the Prince. 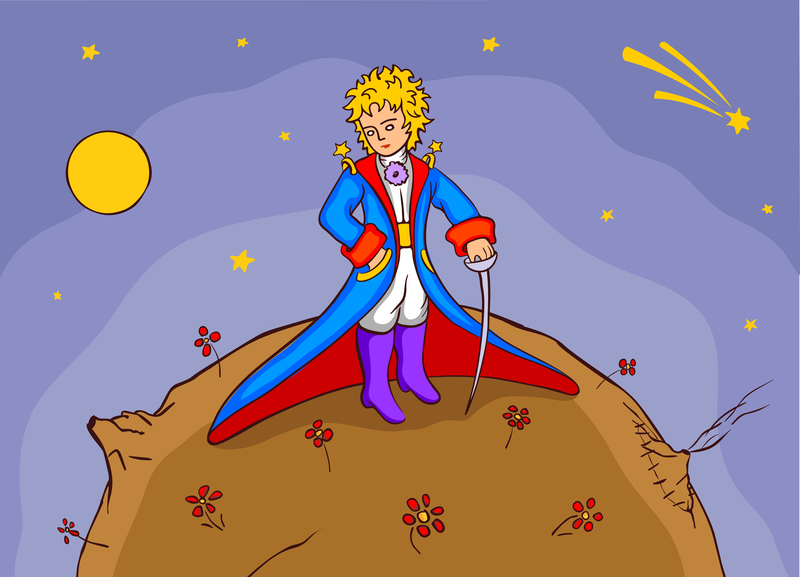 The Little Prince, we mean. Read her firsthand review on the most famous work of Antoine de Saint-Exupéry, the pioneering aviator, a book translated into 300 languages and dialects, with 140 million copies sold worldwide. “Since I was a kid, I’ve always loved fairy tales. Kings and queens, dragons, mysterious creatures, magic and endless adventures. I believe that every child loves that. Even at the age of 22, I still get back to them. 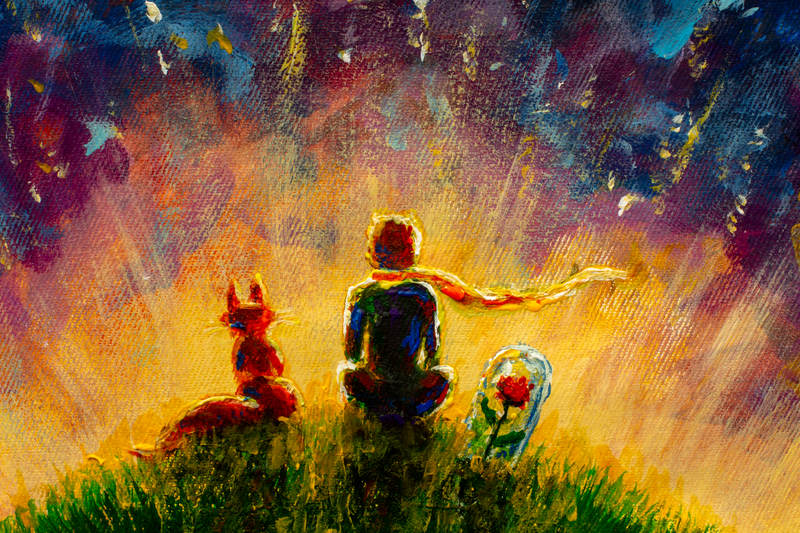 Unfortunately, there are not many books that are suitable and enjoyable for both young and mature readers and The Little Prince by Antoine de Saint Exupery is one of the very few. As the book is meant for children, it is very catchy, entertaining and easy to read. However, it is not a superficial book narrating an ordinary story as you might think. I don’t want to sum-up and talk about the whole book (you have to read it yourself! ), but I will mention what I got from it. The grown-up world is generally known to lack imagination and understanding. This is perfectly depicted right at the beginning of the book when the narrator shows his ‘Drawing Number One’ to adults, which is a picture of a boa constrictor digesting an elephant, but the only thing grown-ups can see is a hat. What’s more, they even advise him to give up on drawing and pursue geography, arithmetic, and grammar instead. For me, this part of the book is crucial as it portrays people’s thinking perfectly. Just because we don’t understand something doesn’t mean it’s not right. All of us perceive the world differently and there is nothing wrong with that. As a matter of fact, it can be very enriching. Unluckily, we humans feel the need to convince others that ‘our opinion is the right and only’. Instead of trying to learn about others, their perceptions and supporting them, we constantly argue and pursue our views. When was the last time you had a quarrel with your friend? You were bursting with anger because you knew you were right. And so did your friend. In such a situation, you always have two options. You can either never talk to your friend again, simply because he’s not right and you are, or you can listen and try to understand him. If your ego allows you, of course. In my view, being tolerant is an essential attribute, especially if you go to a new place. Get a new job. Make new friends. Go to a university. Go abroad. Because suddenly, you are surrounded by people who look, talk, think, dress and speak differently. It’s not anything you’re used to. What do you do? Do you just tell everyone you encounter that ‘your dress is inappropriate’, ‘that’s not true’ and ‘you’re wrong’? And what if they tell you the same? I hope you get the message, it wouldn’t lead anywhere. Previous articleSmall Colleges Competing for International Students: How Do They Keep Up with The Big Boys?